This shop has been compensated by Collective Bias, Inc., Kleenex, Lipton, and Theraflu. All opinions are mine alone. #FluSeasonHacks #CollectiveBias Ad Here I’m sharing Tips on How to Stock Your Kitchen Shelves for Cold and Flu Season and a FREE Printable Pack with 15 Sick Day Activities for Kids. I spend most of my time at home in the kitchen. I make all of our family meals at home, so when I’m not cooking, I’m often doing dishes, cleaning the stovetop, or putting away groceries. In addition, the dining area is right off the kitchen, and I sit in the dining room to blog, take photos, and run HappyandBlessedHome.com. When my kids are not in school, they’re at home with me, and the breakfast area in the kitchen is perfect for crafts and messy play. Everyone can relax, enjoy the views of our backyard, and make fun family memories together. So, it’s no surprise that I like to keep our cold and flu remedies in the kitchen. It’s where we eat, play, live and work during most of the waking hours of our day. 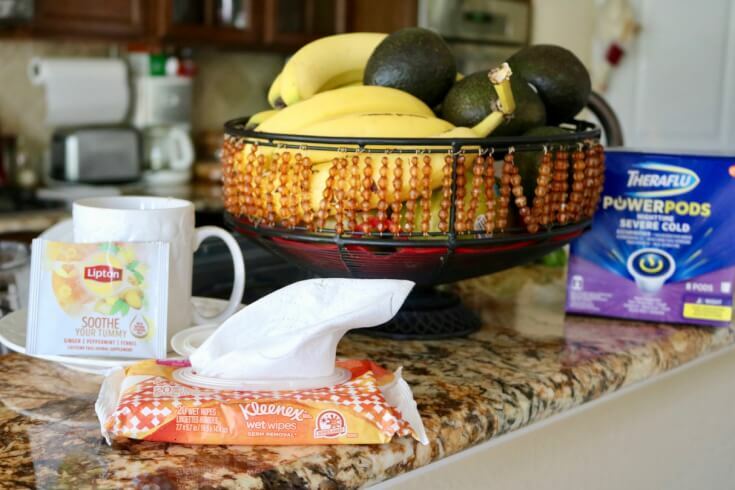 And, since cold and flu season is upon us, I thought I’d share a few tips on How to Stock Your Kitchen Shelves for Cold and Flu Season and a FREE Printable Pack with 15 Sick Day Activities for Kids, in case your family is like our family… when one of us gets sick, the rest of the family is likely to follow. I also keep germs from spreading with Kleenex® Germ Removal Wet Wipes. The wipes come in a size perfect for your purse and they safely wipe away 99% of germs from your skin. For my two young boys, I’m thankful that the wipes have no harsh chemicals, plus they’re strong enough for kids’ hands while being soft enough for the face. Don’t forget Theraflu Power Pods Nighttime Severe Cold which is powerful relief without a prescription. It temporarily relieves symptoms due to a cold like minor aches and pains, headache, nasal and sinus congestion, cough due to minor throat and bronchial irritation, minor sore throat pain and temporarily reduces fever. So, in our home, sick days often are accompanied by sick kiddos, and I couldn’t talk about stocking your kitchen for cold and flu season without offering readers of HappyandBlessedHome.com some educational tools to help out with sick days. 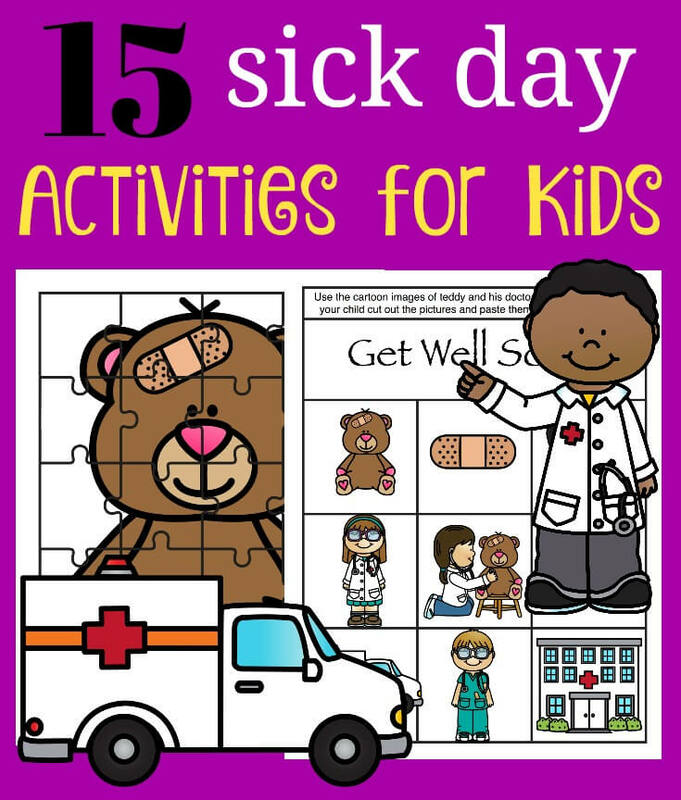 So that’s why I created this, a FREE printable pack with 15 Sick Day Activities for Kids. 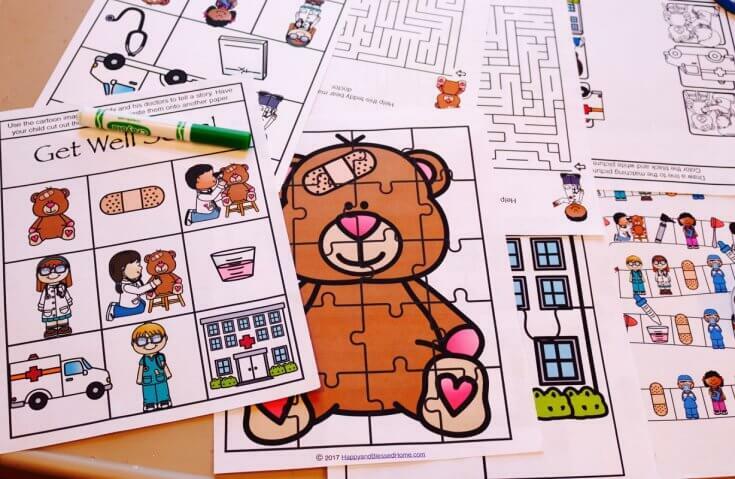 There are puzzles, mazes, matching, coloring and more. I even whipped up a board game “Candy-Land” style with dice and everything. Kids love to play games, and I love the fact that this printable pack reduces screen time and encourages creativity and problem-solving. My kids love this printable pack. If your plans for the day get derailed by sickness, this is a fun way to overcome boredom without having to sit a kiddo in front of the TV all day. It also teaches empathy, fine motor skills, and even some early math. 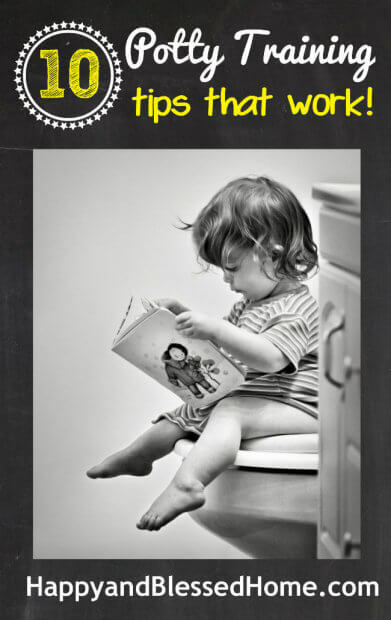 Take it from a Certified Teacher in Early Childhood Education, this printable pack is good stuff. Just click the “download now” button to get your copy. No more bored kids on sick days! FREE 15 sick day activities for kids. 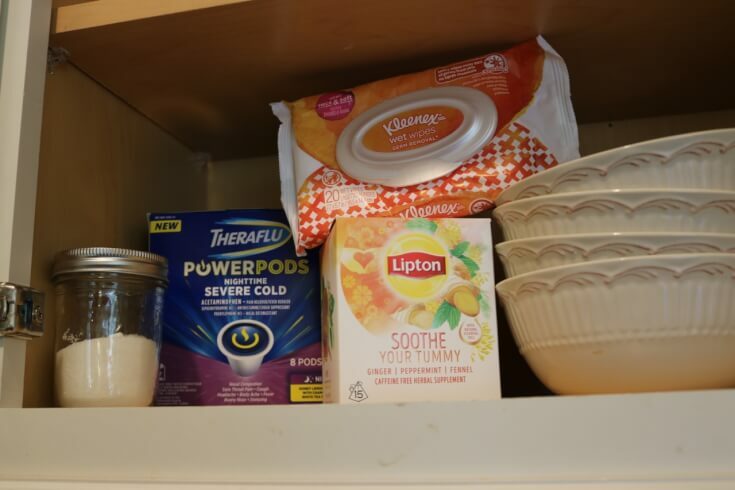 Where can you find Kleenex Wet Wipes, Lipton “Soothe Your Tummy” tea, and Theaflu Power Pods. You can find everything featured here at Kroger’s (in our area it’s also known as King Soopers). I picked up all the things I talk about in this post inside the store. Get even more “Get Well” tips from my blogging friends on the SoFab Social Hub. 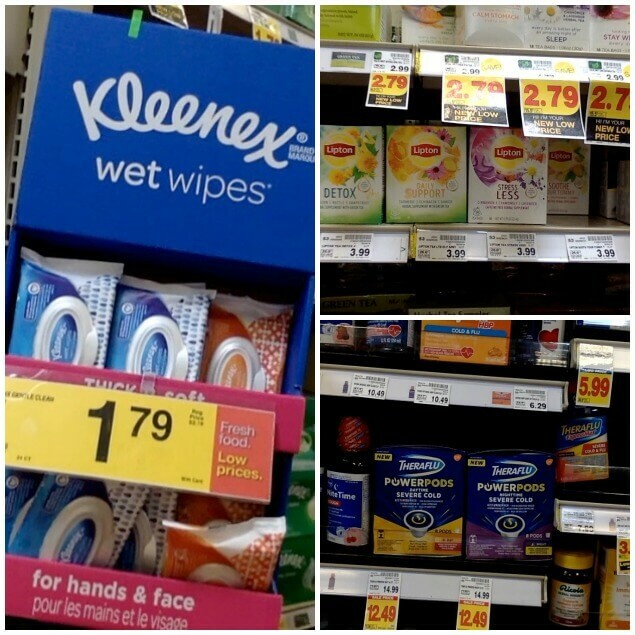 Look for the $1.50 coupon on 4-pack Kleenex Facial Tissues, for Kleenex Germ Removal Wet Wipes. Have any Tips for Stocking Your Kitchen for Cold and Flu Season to share? Are you in the middle of sick days? What’s the best advice you have on being prepared for cold and flu season? Maybe someone else would love to read about what is working for your family. Please leave a comment below. I always love hearing from my readers. 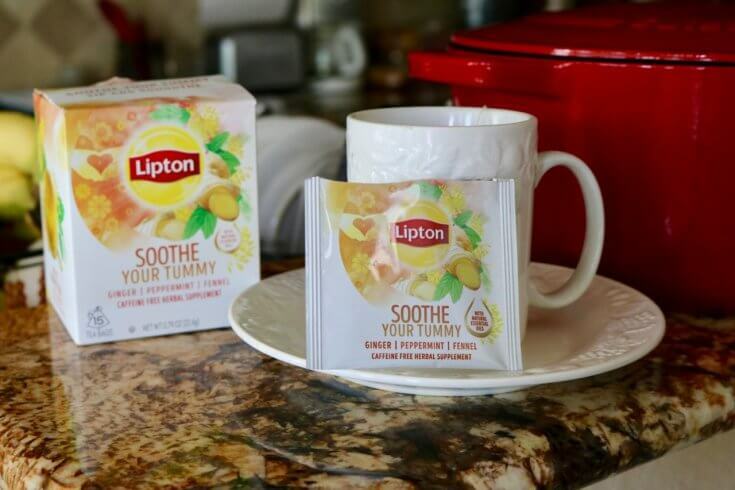 Kleenex – ©KCWW, Lipton – © 2018 Unilever Theraflu – ©2018 the GSK group of companies or its licensor. Read and follow label directions. Theraflu is for use in adults 12 years and older. Use products only as directed.